Homewatch CareGivers believes nothing is more important than helping people live independent and dignified lives within the comfort of their own homes. 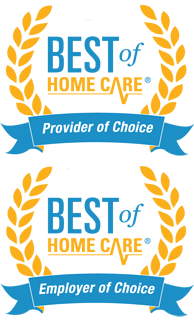 There are many options when it comes to choosing an in-home health care provider in Grayslake. 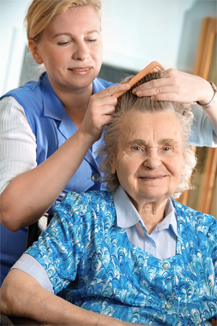 We provide comprehensive in-home care services, senior and elder care services, Alzheimer’s & dementia care, as well as home health care services to Glenview area residents tailored to meet the unique needs of each individual client we serve. We are available all day, any day to provide you pricing information and time-saving details. At Homewatch CareGivers Northshore we specialize in providing you with the Best Home Care Professionals in Grayslake Illinois. Our compassionate and certified dementia care team serving Grayslake IL understands that caring for a family member with memory impairment is stressful, and having a neutral caregiver from outside your family can help ease the emotional burden that comes with caring for a loved one. The first step to finding the Best Grayslake IL Home Care agency is to determine the level of care that is needed. To learn more about the comprehensive in-home care services, senior and elder care services, Alzheimer’s & dementia care, as well as home health care services we provide to Grayslake IL area residents and to see what level of care you or your loved one may need please contact us at (847) 616-5600 or CLICK HERE to schedule a FREE – NO OBLIGATION HOME CARE ASSESSMENT.